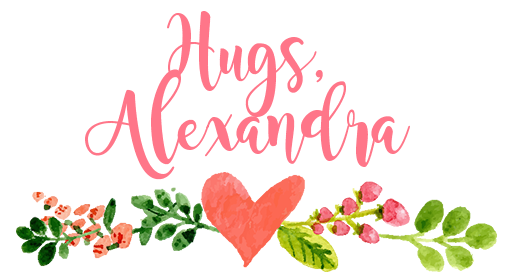 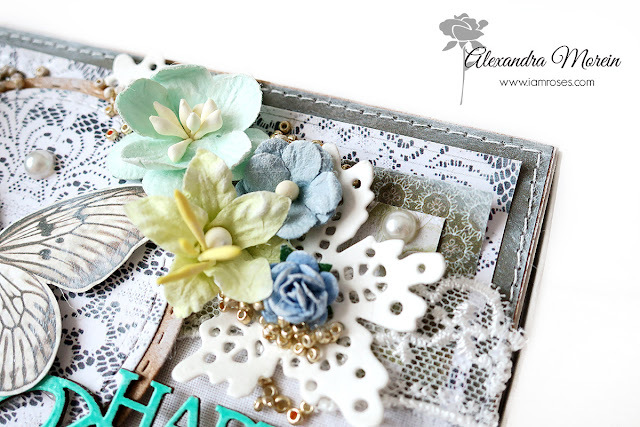 If you submitted your entry into the March Challenge at the I Am Roses blog, you might wanna check if you were among the winners of the prizes here. 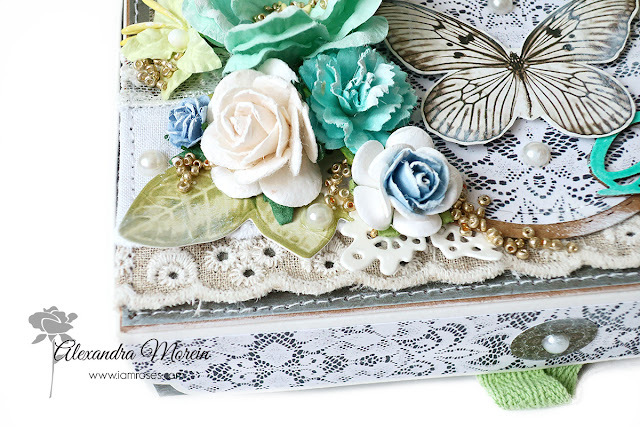 You will also see, that as usual in the middle of the month we start a new monthly Anything Goes Challenge and once again you can take a chance and create something for the April Challenge. 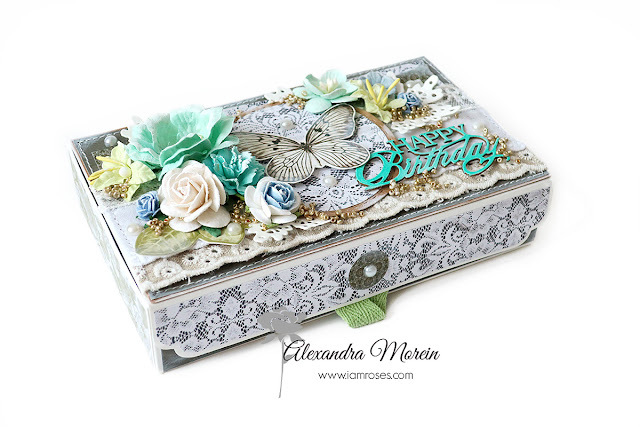 My inspiration for you is this little box for a money present or maybe something sweet, a gift card can fit inside too without a problem, since the box measures 3.5 X 6". 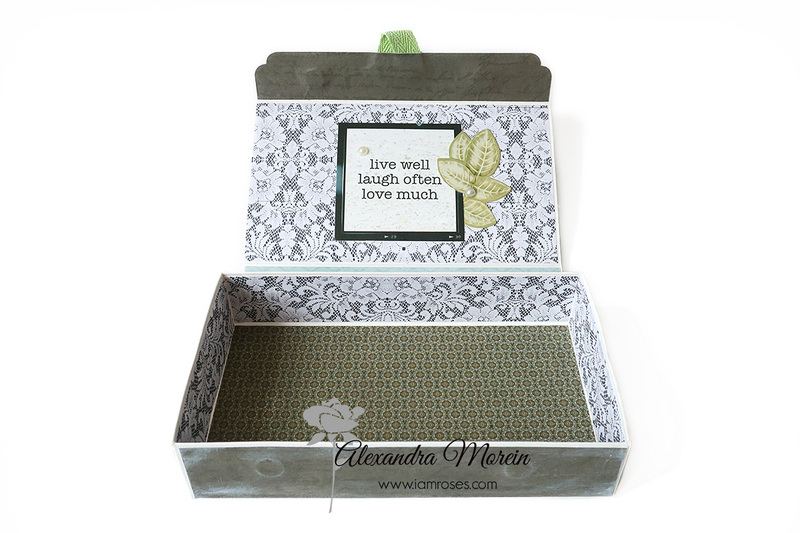 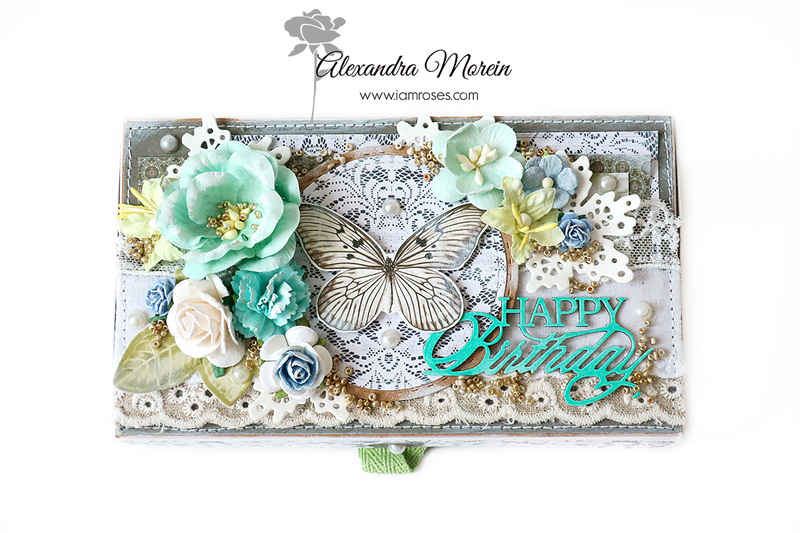 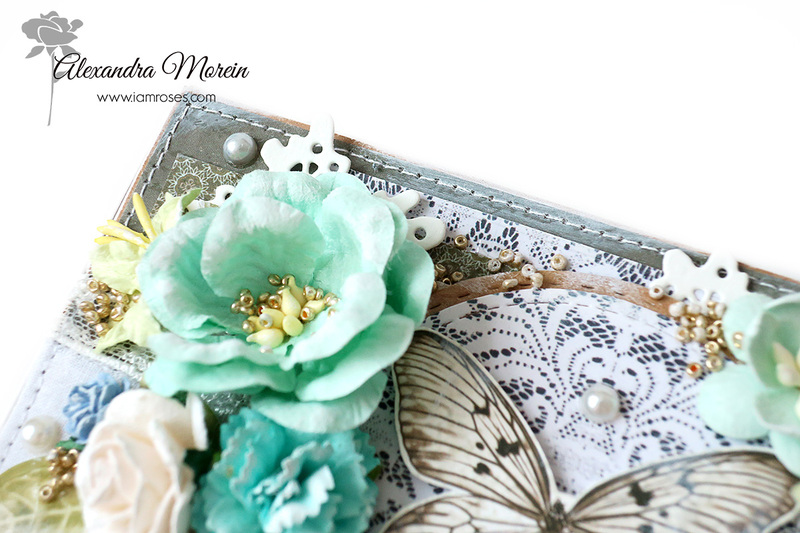 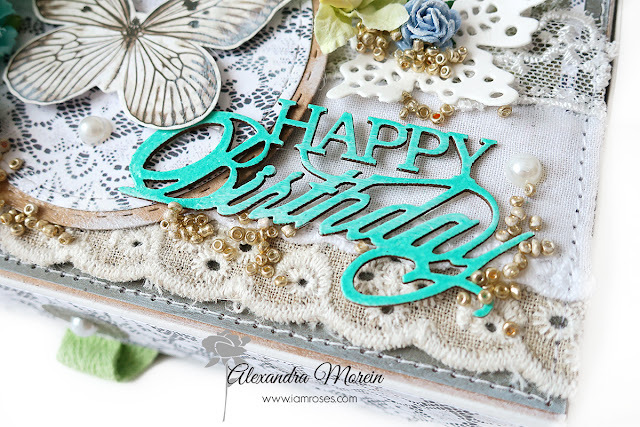 The sentiment is from the decorative chipboard set by Fabrika Decoru.